SEAT is offering its best ever reductions on Leon and Ibiza models in January 2012, as well as savings off the RRP price on the Altea, Altea XL, and Exeo, and free servicing on the Alhambra. 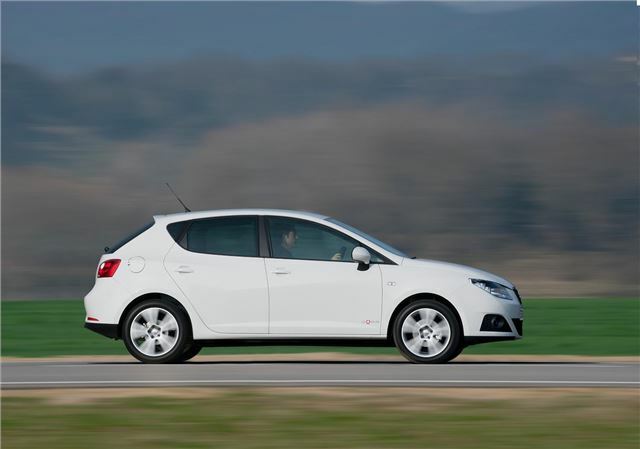 Buyers can get £2310 off the RRP of the Ibiza SC 1.3 SE Copa, meaning a price of £9995. Standard equipment in the SE Copa is generous, and includes 16 inch Fabula alloy wheels, climate control with a refrigerated glove box, automatic wipers and lights, tinted glass, leather steering wheel with audio controls, MP3 connectivity and an auto dimming rear view mirror. Similar savings can be had on other models in the Ibiza line-up too, with the five-door model starting at £10,495 and the ST estate starting at £11,205. Finance packages start at £199 per month for a 42-month personal contract plan (deposit £199, 8.9% representative, terms and conditions apply). Leon buyers can get as much as £3085 off new cars during January, meaning the S Copa 1.6 TDI CR 105PS is price from £14,795, its lowest ever price. The Leon FR, FR+ and Cupra R performance models are offered with 0% finance over 36 months, based on a 35% deposit.